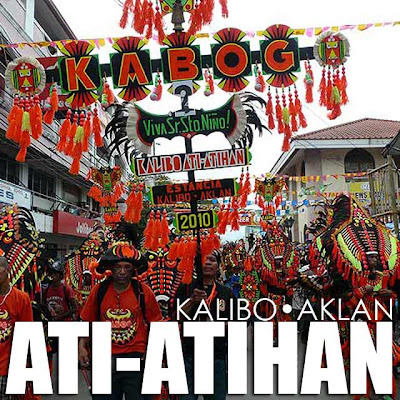 Aklan: Ati-Atihan Festival in Kalibo, Aklan! Hala bira! 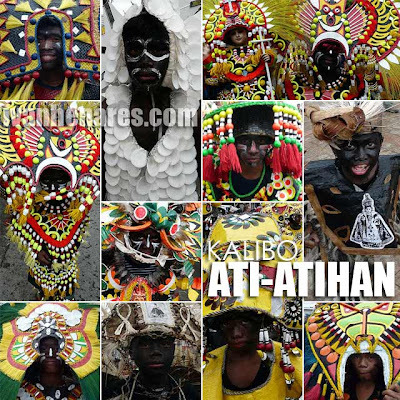 The Ati-Atihan Festival in Kalibo, Aklan is one of the iconic festivals of the Philippines. Held annually on the third Sunday of January, the feast of the Sto. 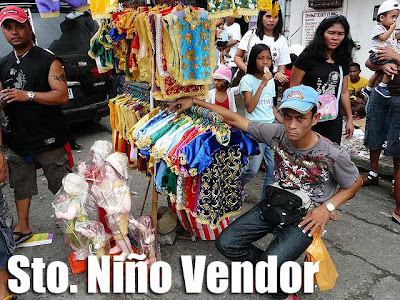 Niño, many of the street dance festivals of the Philippines were inspired by the Ati-Atihan which is often called the Mother of All Festivals. The festival is a showcase of neighborhood troupes called tribes, who paint their bodies black (mimicking the dark-skinned Ati tribe), don colorful costumes, and parade around town while dancing to the beat of loud drums that follow behind the group. Right after the 7 a.m. Mass in Pastrana Park and the shouts of "Viva El Señor Sto. Niño!" the different tribes made their way out of the town plaza. The energy in the streets of Kalibo was high, and the atmosphere electric! Hala bira! Unlike most festivals, there is no parade route in the morning. The different tribes make their way around the plaza and town without a particular route. Spectators and the tribes are not divided by any cordon. In fact, you're free to join them dance if you want or have your photos taken. While this happens the whole day, it's best to watch the tribes in the morning since their costumes and body paint are still fresh, plus the movement of the tribes is more orderly. By lunch, everyone goes home to eat. After lunch, the tribes slowly come out again. By that time, they've had hefty doses of lechon (roast pig) and alcohol. So they become rowdier. At 3 p.m., a procession of various Sto. Niño images makes its way around town together with the tribes. By this time, everyone is on board, dancing in the streets as the Mardi Gras-like procession snakes through the streets of Kalibo. The procession was so long, the tail-end was expected to arrived in the plaza shortly before 10 p.m. It was one big street party. Unfortunately, we were so exhausted by 5 p.m., we could no longer stay to watch the tail-end make its way back. While it's a great party, let me warn you that the alcohol creates trouble, especially as the sun sets. So be safe! 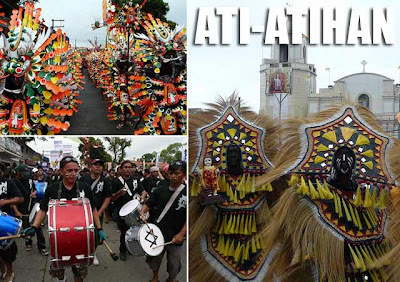 The Ati-Atihan was said to have been a pagan ritual that was established before the arrival of the Spanish colonizers. It was held in celebration of a pact between several Bornean datus who had just arrive in Panay, and the local Ati chieftain, Marikudo. To commemorate the pact and purchase of land, the Malayan newcomers, as they joined the Atis celebrate a good harvest, covered their bodies with soot. 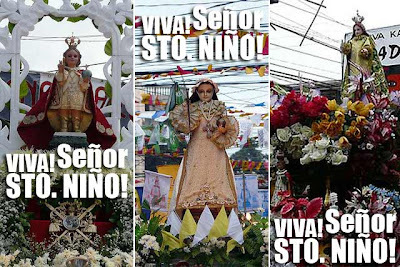 The arrival of the Spaniards saw the shift of the festival to commemorate the feast of the Infant Jesus or the Sto. Niño. Next time you plan to visit Boracay in January, try to make the third weekend so that you could catch this upbeat and colorful festival. Hala bira! I miss this very colorful festival. Thanks for telling the highlights here.